With diamonds. Available in a variety of metal combinations and finishes. In Platinum. 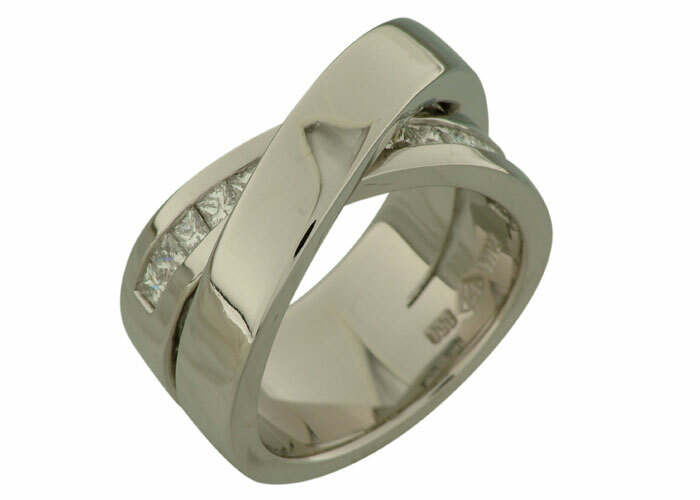 Available in a variety of metal combinations, finishes and diamond size. 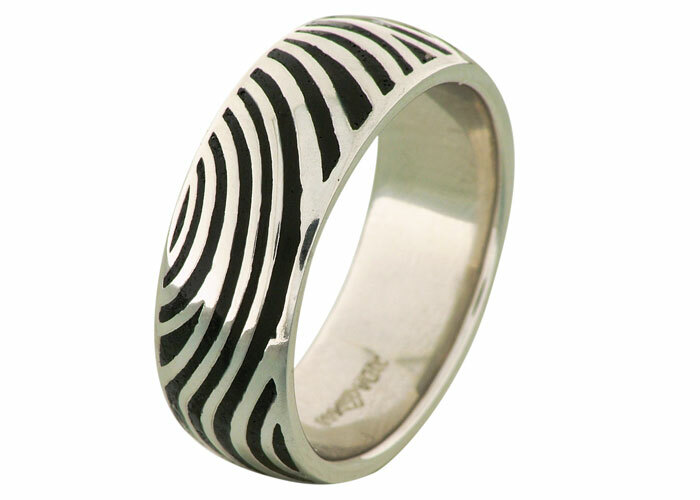 With clients wedding ring fingerprint forming a pattern around the ring. In platinum. In Platinum. 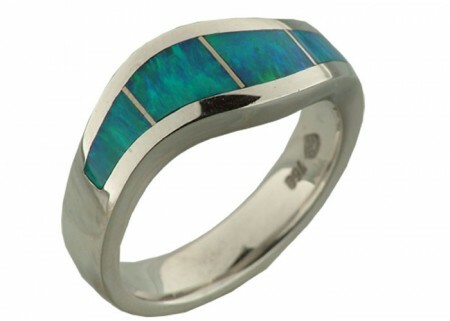 Available in a variety of metal combinations and finishes. 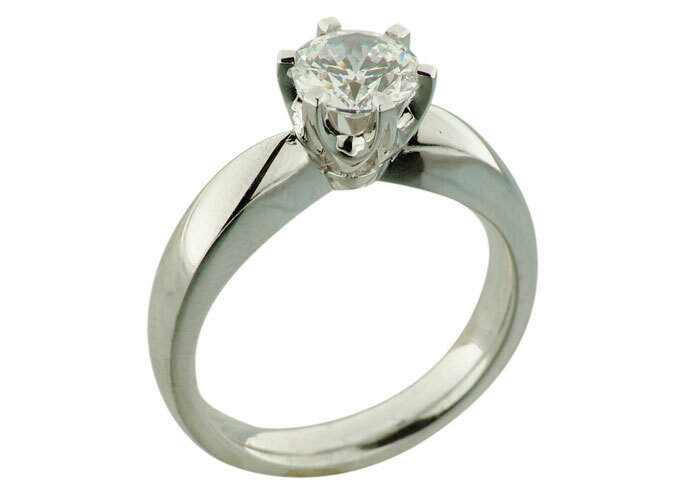 Palladium with princess cut diamonds. 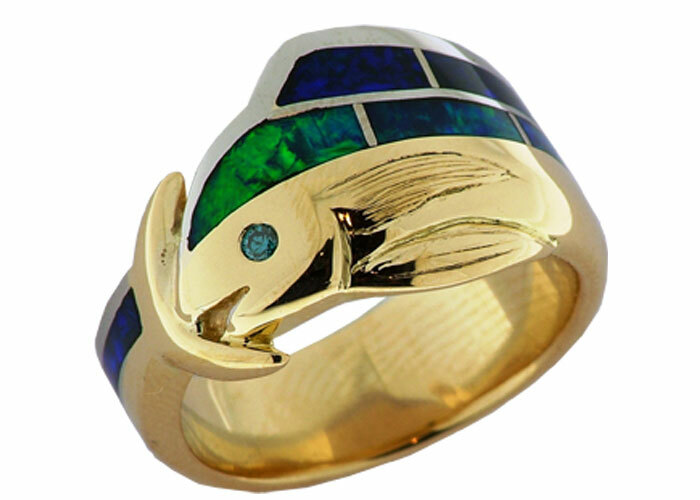 18 carat yellow gold and Palladium with blue/green diamond and blue/green opal inlay. 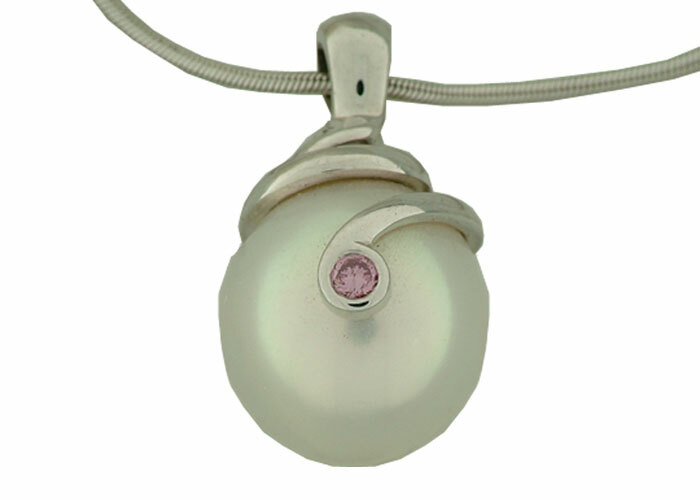 18 Carat white gold with south seas pearl and pink diamond. 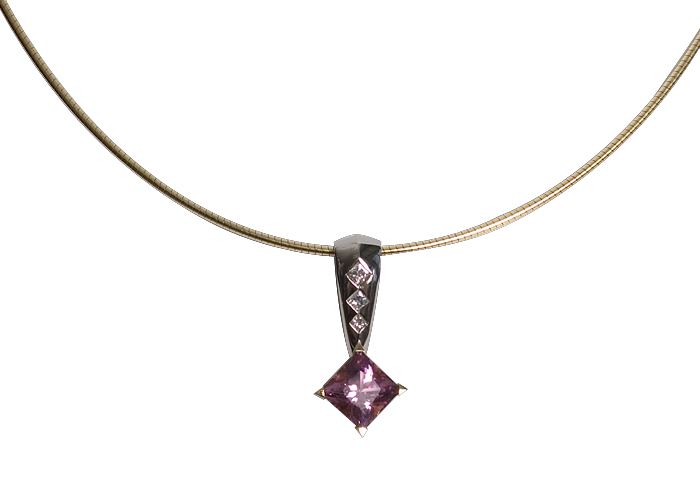 Finalist in the New Zealand National Jewellery Competition. 18 carat yellow gold and palladium with titanium screws and black diamonds. 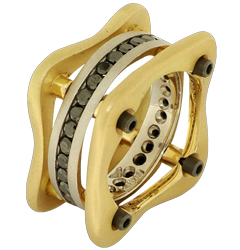 Available in a variety of metal combinations and finishes. 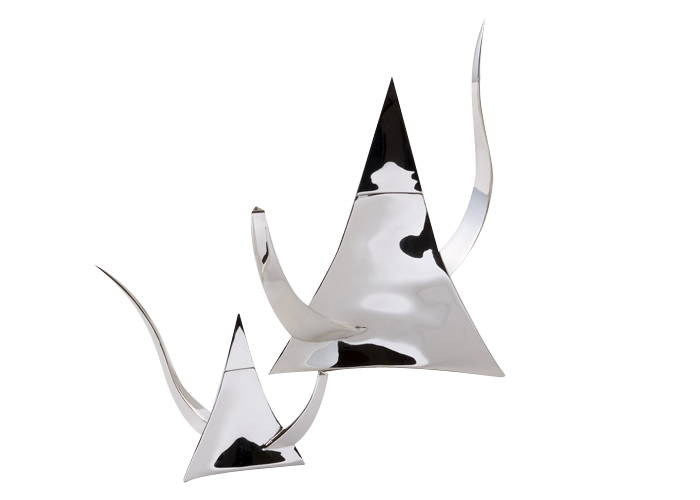 Hand fabricated sterling silver tea pot and cream jug. A fun journey to the perfect ring. 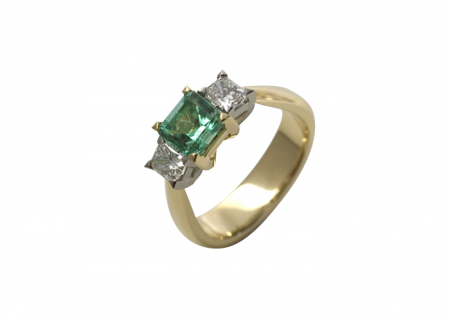 I work in the jewellery trade in New Zealand and Australia, and spend a lot of time travelling the world finding designs to sell in New Zealand for my family’s business. On a visit to Steve’s store some of his amazing ‘Engineered’ rings caught my eye. A year later I got engaged to an amazing guy. My fiancé is very keen on design, he’s Canadian/Romanian, loves cars/engines and he’s a Nano engineer by trade, so I knew that just a buffed, plain ring for a wedder was not going to suit him at all. I remembered Steve’s rings with their amazing lines, black diamonds and the interesting hex screws holding it altogether. 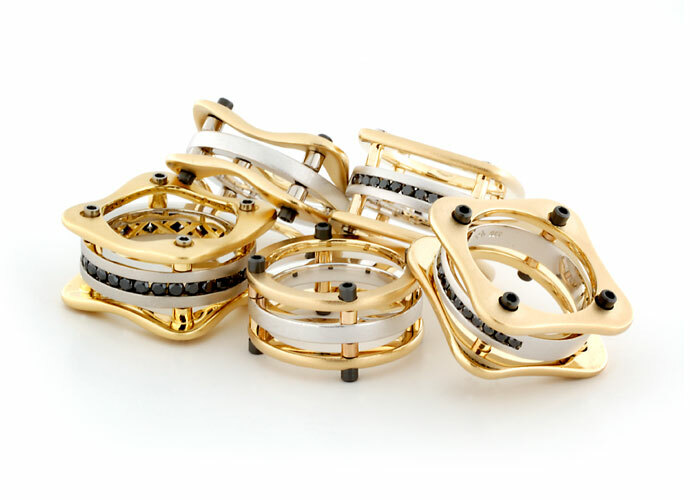 We took a day out to drive up to Whangarei, to show Cosmin the rings and refresh my memory. My fiancé fell in love with Steve’s very unique design and ordered a ring custom made for all the details he preferred. When the ring arrived we were so excited, we both carefully inspected the ring and were blown away by the exceptional details. 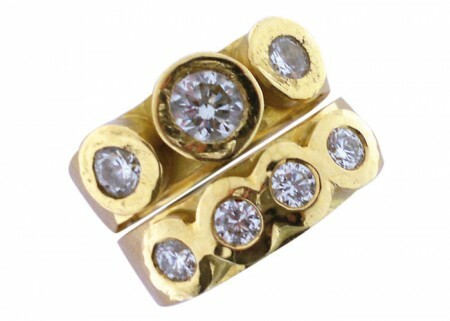 Thank you again for creating the perfect ring for us. We are moving to Boston after we get married at the end of this year and will love not only the memory of our journey to get our ring, but also its very unique New Zealand made design.